Epoxy Resin Repairing Mortar - MUHU (China) Co., Ltd.
1.It’s an epoxy resin based high strength repairing material that’s consisted of three components. 2.It’s tenaciously adhesive to all kinds of substrates, hence wide application. 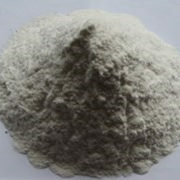 3.It has high strength, high adhesiveness, high compressive strength and good shaking resistance. 4.It’s impervious to a wide range of chemicals. It’s used on concrete substrate where there’s pit of 1-15mm deep or cavity of 15-100mm deep. 1.It’s consisted of three components that are separately packaged. Component A is resin, component B is solidifier while component C is aggregate. Mix component A, B and C by 5:1:25 by weight. Do not dilute the mixture with solvent as solidifying property will be effected. Sandblast the substrate and clean off contaminants such as dirt and grease, oil stains, mould release film etc. Agitate component A and B separately and slowly. Then put component B into A and fully mix them for usually two minutes to achieve homogeneity. Afterwards, mix component C with them and ensure adequate agitation. Scrub the substrate to make it dry, flat and out of pinholes. Then apply epoxy resin based prime mortar. If a second time application is required, it’s necessary to spread a layer of quartz sand (0.4-0.7mm) in between while clean off the loosely attached articles with vacuum. Plaster or pour repairing mortar into damaged places. Its thickness depends on crack size, ambient and substrate temperature and repairing area. The maximum plastering thickness is 50mm. Plaster epoxy resin repairing mortar on substrate according to regulated thickness and scrape surface even. Brush epoxy resin based surface mortar on the surface.